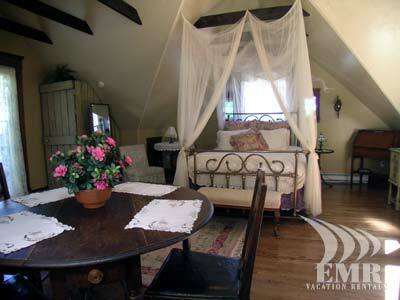 A more quaint and cozy suite you could not find. 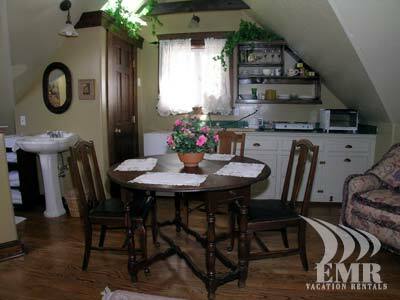 The Gingerbread upper suite is aptly named as it is a top floor suite in a cute building in the garden of a large house. 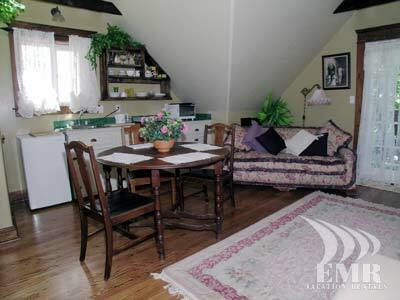 Thanks to it's location nestled in the back, you will not be disturbed by anything but birds calling from the balcony. 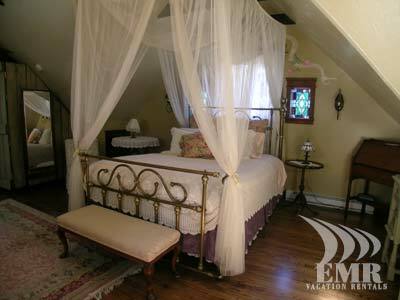 The decor suits a princess as the feather mattress four poster bed begs you to find the pea. 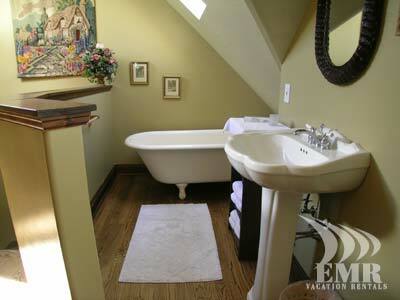 To complete the decor, the claw foot bathtub is perfect to soak in while you are read to, or perhaps you are eating grapes. 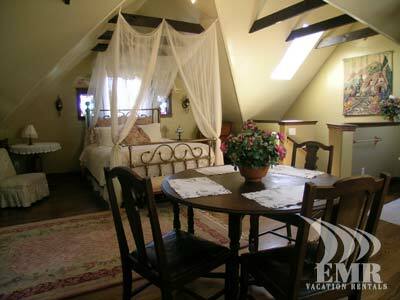 This vacation accommodation is certainly perfect for a special occasion, and can only be described as divine.